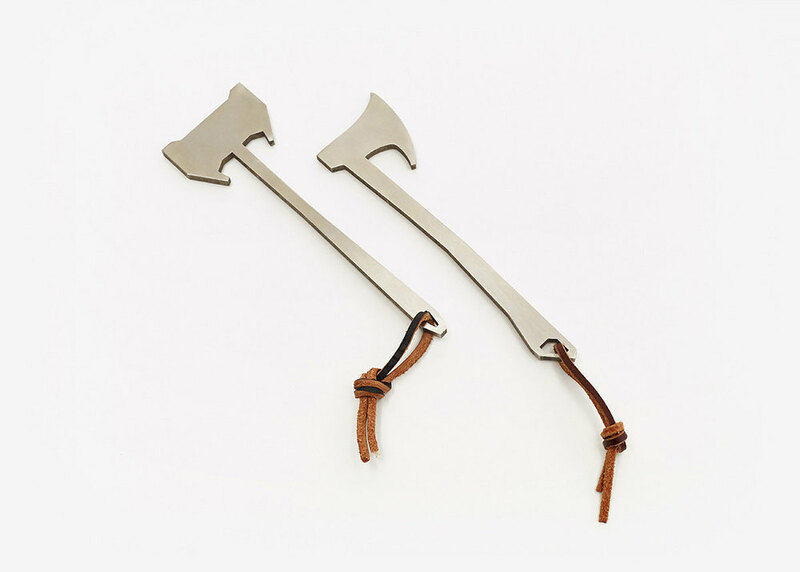 Bottle Axe is a bottle opener, inspired by ancient battle axes, designed during a design competition called Small Things Matter, in which Parsons The New School for Design teamed up with Brooklyn-based gift company Areaware (www.areaware.com). In the project, participants chose a charity organization which would receive a percentage of sales, should the design be chosen to be manufactured by Areaware. Bottle Axe received 3rd place, and was launched in Areaware's Fall 2015 catalog. Whether you're enjoying a soda, or something a bit more spirited, unleash your inner barbarian with Bottle Axe.